Fin Rot, Fungal and bacterial infections are amongst the most common fish ailments. These infections can be due to poor water conditions in ponds. They can disfigure and in time kill ornamental fish. 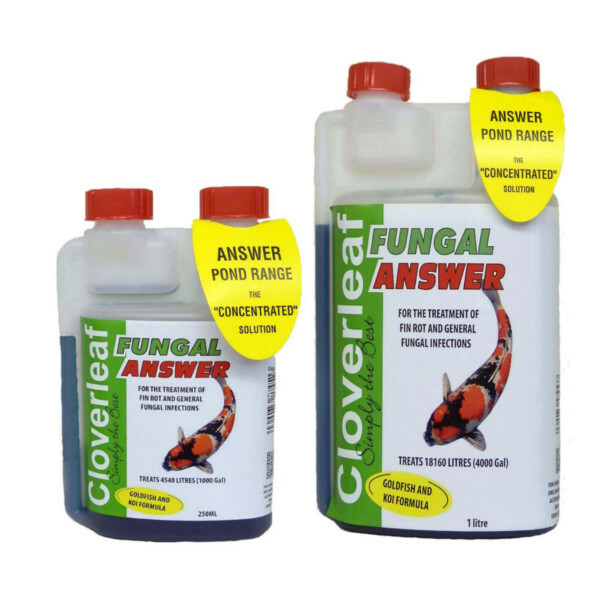 Cloverleaf Fungal Answer is an effective treatment that quickly and safely resolves the problem without disturbing the pond's natural balance.